Are you a member of a motorcycle club? You and members of your club could be entitled to 12.5% discount off your motorbike insurance with Devitt if your club has signed up with us! Devitt have been organising insurance for UK bikers since 1936, so you're in trusted and reliable hands. 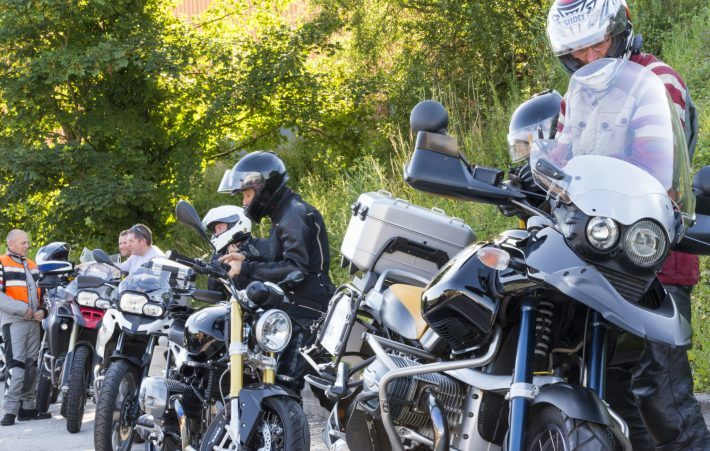 Up and down the country you’ll find various motorcycle clubs including general clubs, manufacturer clubs, women only clubs and lots more – there’s literally something for everyone! Here at Devitt, we recognise that motorcyclists are a strong community, a brother/sisterhood and always have each others back. If you’re a member of a one of our agreed MC Clubs then you could be entitled to 12.5% discount on your motorcycle insurance with Devitt. There are lots of different reasons for joining a motorcycle club, whether it’s your local club, a manufacturer club or specific styles of motorcycle. Devitt have been arranging motorcycle insurance for UK bikers since 1936 – that’s over 80 years worth of knowledge and experience! Believe that you’re in trusted and reliable hands, so we can use our panel of great UK insurers to get the best price and cover for you. You’ll also receive a complimentary 12.5% discount code for SPORTSBIKESHOP with your policy! This offer is for new insurance quotes only, it cannot be applied to existing policies. You must get a new quote directly from Devitt (not through a comparison site or recalling a previous quote from a comparison site) by calling our dedicated number 0345 872 3614 or using the dedicated link above, otherwise your 12.5% discount will not be applied. Get a discounted quote today!